The Rappahannock stretches for nearly 200 miles across northern Virginia, rising in the western mountains and flowing eastward to empty into Chesapeake Bay a few miles south of the Potomac. The river forms a natural boundary between the North and the South…and during this week, a bloody one. Day after hot August day, Union Gen. John Pope’s Army of Virginia clings to the river’s northern shore, fighting a never-ending series of skirmishes with Confederate Gen. Robert E. Lee’s Army of Northern Virginia. Both Pope and Lee has been in command their respective armies for less than three months, but, clearly, he is rattling Pope. To add insult to injury, the Army of Northern Virginia’s newly appointed cavalry commander, James E. B. (“Jeb”) Stuart, is raising havoc with hit-and-run raids on the Union army,. Stuart’s crowning achievement is the capture of Pope’s own baggage…reportedly including his strategy papers, a uniform coat, cash, and personal belongings. Stonewall Jackson raids Pope’s huge supply base at Manassas Junction, generously supplying themselves from the stores there, and burning the rest. Pope gets little sympathy from his own men. Pope’s loud-mouthed braggadocio has alienated officers and enlisted men alike. One of his generals even sputters, “I don’t care for John Pope one ounce of owl dung!” And the idea is spreading among the men that Pope was a “Jonah”—a bearer of bad luck. Bad luck is, in fact, heading Pope’s way, but not in the form of yet another hard-hitting Confederate general. It is Pope’s bad luck to be relying for reinforcements on Maj. Gen. George B. McClellan, who is leading his Army of the Potomac back from his failed campaign on the Virginia Peninsula. McClellan is sulking because he thinks he should have been allowed to continue the Peninsula Campaign, even though it was apparent to everyone else that it was going nowhere. Moreover, McClellan and Pope don’t like each other. As a result, McClellan’s huge army is moving with leaden feet in Pope’s direction. Later, President Lincoln will suspect McClellan’s slow pace was deliberate. But that thought will occur only after the Union disaster that is looming now. 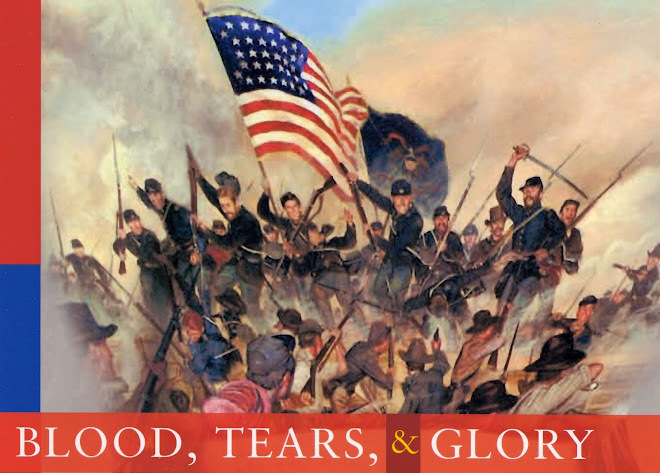 It’s another of those in-between times in the Civil War, with no major battles but plenty of action nonetheless. From Virginia to Missouri, firefights are erupting almost no one ever heard of then or since (e.g., Switzler’s Mill, Missouri; Brown’s Plantation, Mississippi; Medon, Tennessee; Clarendon, Arkansas). Each clash is of little significance in itself, but taken together, they form a thunderous and deadly chorus. More importantly, the military forces of each spend this week moving with grim intent. In Virginia, Union Gen. George B. McClellan’s Peninsula Campaign against Richmond has proven a flop, so his immense Army of the Potomac is leaving Harrison’s Landing on the James River, heading in the general direction of Washington. Shadowing McClellan, Confederate Gen. Robert E. Lee’s Army of the Northern Virginia is moving towards Gordonsville, part-way between the opposing capitals of Richmond and Washington. Having left the Shenandoah Valley and moved into north central Virginia, Stonewall Jackson’s force has already whipped one division of the Union Gen. John Pope’s newly created three-division Army of Virginia. Pope and McClellan are expected to link up and turn their mighty host on the Confederates. Meanwhile, Confederate Gen. Edmund Kirby Smith is leading 21,000 men from Knoxville to the strategic Cumberland Gap (which he will bypass), isolating the Union force there), then into Kentucky to wreak havoc on Union forces based there. Meanwhile, Confederate Gen. Braxton Bragg is sending those redoubtable raiders, Nathan Bedford Forrest and John Hunt Morgan, into middle Tennessee. Soon, Bragg will advance into Kentucky and join forces with Kirby Smith. That forces Union Gen. Don Carlos Buell to abandon his snail’s pace advance on Chattanooga and head north from Alabama to turn back the Confederates in Tennessee and Kentucky. Meanwhile, Union Gen. Ulysses S. Grant is stuck in Corinth, Mississippi, surrounded by enemies, his troops too dispersed to mount a significant offensive. He is further handicapped by having to supply reinforcements to Buell. So far this year, the bottom line in Virginia has been stalemate, while in the Western Theater Union forces have enjoyed a succession of victories, but are under heavy pressure form the Confederates. The war has not reached a turning point, but the weeks to come will bring a number of critical moments. In June 1862, Maj. Gen. John Pope, an Illinoisan with a big voice and an even bigger ego, was enjoying a furlough in St. Louis, when he was he summoned east by Secretary of War Edwin M. Stanton. Stanton had a new job for Pope. Pope had scored an impressive success that spring. His Army of the Mississippi, with considerable help from the Union navy, had out-maneuvered the Confederates at New Madrid, Missouri, and nearby Island No. 10. Pope’s troops had flanked the heavily armed Island No.10 by digging a canal bypassing it. In one fell swoop, Pope’s army captured several thousand Confederate soldiers and a lot of ordnance, regained control of an important portion of the Mississippi River, and did it at a cost of only a few casualties. With Grant temporarily under a shadow for lack of preparedness at Shiloh, Pope looked like the winner the Lincoln Administration badly needed in the Eastern Theater. McClellan’s huge Virginia Peninsula Campaign was turning sour and three smaller Union armies were floating around elsewhere in Virginia without much coordination. Pope was told to combine the three smaller armies into one of three corps, to be called the Army of Virginia, and to get something done. But Pope had two problems: He was a blowhard who quickly alienated his own men and he had the bad luck to inherit Nathaniel P. Banks as one of his three corps commanders. Banks was a Massachusetts politician, one of the “political generals,” and a military commander of very limited ability. Banks had been beaten by Stonewall Jackson in the Shenandoah Valley and now Banks thirsted for revenge. 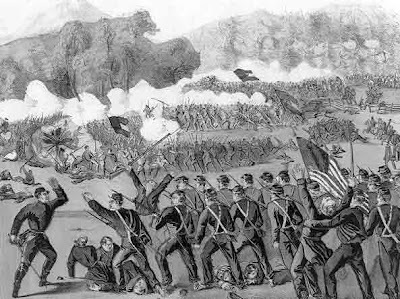 When Jackson’s force came into view near Cedar Mountain (about 75 miles northwest of Richmond), Banks recklessly attacked (Saturday, August 9). Banks was driving two of Jackson’s divisions when Confederate reinforcements arrived. Banks had no reserves and the engagement turned into a Union disaster. By the time it was all over, Banks’ II Corps had been so badly damaged that an infuriated Pope had to detach it for recuperation. Although Banks’ corps was composed mostly of eastern troops, it included four regiments from Ohio. 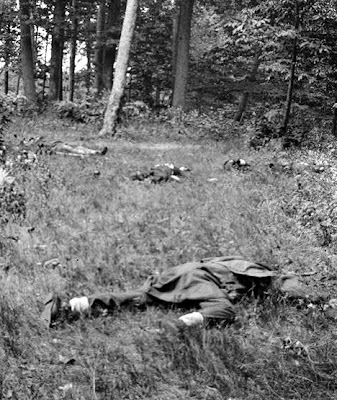 Fighting under a scorching sun and soon outnumbered, the 66th Ohio lost almost half its members to death, wounds, or capture. Some men died of sun stroke. The 66th was so decimated that not one of its 10 companies could muster enough men for a color guard. Cedar Mountain was the curtain-raiser for II Bull Run, where Pope demonstrated his inability to control a large, fast-moving battle. Because the II Corps had been sent to the rear, however, it played no role in Pope’s debacle at Bull Run—which, if any good can be found in the bloody days of August 1862, is one of the few blessings conferred upon the Ohioans. As the dog days of summer wheel from July into August, the United States resembles a museum’s electric map, flashes of light sparkling across much of the continent as fire fights erupt randomly. Patrols from opposing camps run into each other, cavalrymen hungry for excitement stage raids, nervous sentinels fire at unidentified shapes moving in the dark. In the Eastern Theater, this is merely an interlude between the ignominious end of McClellan’s Peninsula Campaign and the ignominious debut of Maj. Gen. John Pope at Second Bull Run. Both men—of whom so much is expected—will be removed from the scene before the year is over. Three companies of cavalry under Maj. Moyers went out southeast from Tuscumbia to attack a part of rebel cavalry which had surprised and captured two companies of Gen. Thomas’s command and burnt the bridge near Courtland. They found the enemy about two hundred strong and made the attack, losing 23 killed, wounded, and missing. Does not state whether the enemy were repulsed…. Bragg claims this action near Spangler’s Mill, Alabama, was a Confederate victory. And so it goes—little victories and small losses, important mostly to those involved. Endless paperwork signifying men trying to kill each other. In one day (July 27), McClernand sends eight alarming telegrams to Grant, claiming threatening movements of Confederate troop movements and requesting reinforcements. Nothing much happens. And so it goes. North of Grant, in 5th Division headquarters at Memphis, Maj. Gen. William Tecumseh Sherman also has his hands full. He is being badgered by slave owners who want him to track down and return runaway slaves. Naturally, Sherman has little patience with the slave owners. Instead, runaway slaves reaching him are set to work building a fort for the Federals. Another problem for Sherman is the price of salt, needed for preserving meat for the soldiers. Speculators have driven the price up to $100 a barrel. “I am getting tired of this, & of volunteer service and would escape if I could,” Sherman grumbles in a letter to Ellen.